If you are considering getting a gum grafting procedure done then there are a few things that may be beneficial to know before you commit to getting the procedure. Your gums are designed to protect the root of the tooth and sometimes the gum will wear away which causes some of the roots of the teeth to be exposed. The only way to correct this to do a gum graft. This surgery is where your dentist will remove tissue from your palate and then grafting it onto where your current gums are lacking. In some extreme cases, there will be tissue used by a donor. Sometimes, the gum receding is caused by brushing too hard or not enough. If that is the case, your dentist will be able to help you from causing the problem to worsen. 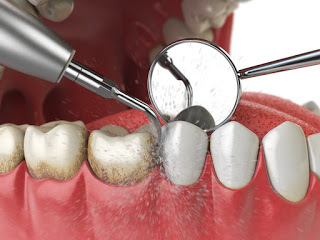 Getting a gum graft done will strengthen and stabilize any current gum that covers the tooth. It will also protect the teeth against any further recession, and once the tooth roots are covered, it will help with the teeth sensitivity that occurs. Depending on the case, gum grafting can also restore a beautiful smile. Majority of people have a high success rate with getting a gum graft procedure done. If you combine the gum grafting procedure with brushing properly, your success rate will be even higher. If you still have more questions about this procedure or would like to book your appointment, contact us at and the dentists at South Boston Family Dental are here to help!